It’s the most wonderful time of the year…no, it’s not the holidays — it’s bulking season! You’ve spent the last 6 months eating plain rice cakes and cans of tuna to get that beach-ready bod. Now that bulking season is here, it’s time to ditch the healthy stuff for some pizza and ice cream! Okay, we’re only kidding. Bulking is a time to take in a caloric surplus in an effort to gain more muscle and put more lean weight on. Nothing helps create that tapered illusion more than building a strong back and using a waist trimmer. Remember, the emphasis is on the word lean here. For a lot of people, bulking season is nothing more than an excuse to camp out at an all-you-can-eat buffet for an entire day and eat like it’s going out of style. If you’re reading this and you’re on your 10th plate: Please set it down and cash out! Putting vanity aside, there are plenty of reasons to maintain a healthy body fat level year-round. Your lipid profiles and cholesterol are generally more favorable with lower body fat levels, which help you avoid heart conditions. Your heart does not have to work as hard at lower body weights to supply you with oxygen either. Granted, muscle is heavier than fat, but it is active tissue and serves a purpose; it’s safe to say a lean and muscular 250-pound athlete would be healthier than a sedentary 250-pound individual. Now, pay attention to this one: Possibly the most important reason to keep your body fat level in check is due to the hormonal effect and imbalance that high body fat levels cause. It has been scientifically proven that individuals with higher body fat levels will have a higher amount of the enzyme aromatase circulating throughout their blood. Aromatase is an enzyme that catalyzes the conversion of testosterone into estrogen in the human body. Why is this a bad thing? Firstly, testosterone is your primary muscle-building hormone, so you want to keep it as high as possible. 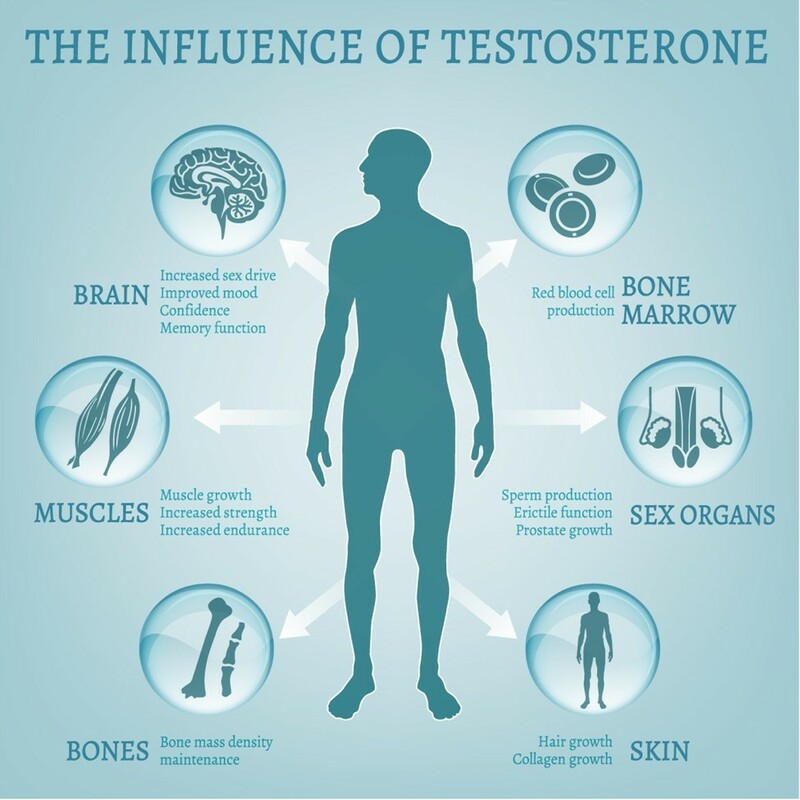 When your testosterone converts to estrogen, your T-levels will fall and allow estrogen to gain more ground. Regardless of whether you are male or female, high estrogen can have negative effects — like breast cancer in both men and women — and it promotes the storage of body fat. Keep in mind that last statement: aromatase produces estrogen, and estrogen promotes body fat levels, then that body fat increases aromatase levels higher, it repeats in a cycle. This is one that is very popular among athletes trying to bulk up. The only justification I can see for this is the massive amount of carbs in pasta because this food does not have much else to offer. 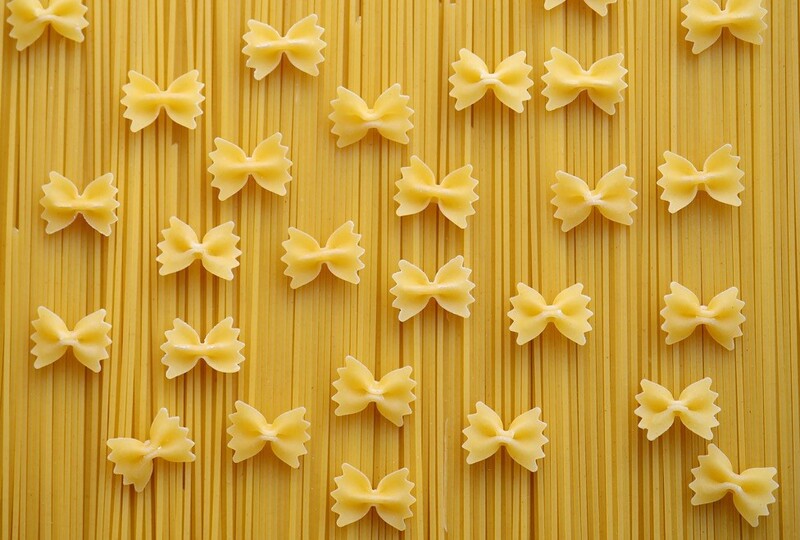 There are trace amounts of B-vitamins and minerals in pasta, but not enough to justify it. Unless you’re one of the types that can eat everything in sight and not gain an ounce, save your calories for some more nutrient-dense carbohydrates. These are pure sugar, which is not necessarily a good thing while bulking — and definitely not while cutting! Sugar spikes your insulin levels, which puts your body into storage mode. If you’re eating a high-calorie diet, chances are a large portion of those calories come from fats. Drinking a soda along with a high-fat meal is a great way to gain body fat. As if that wasn’t reason enough to avoid soda, also consider that drinking pop will leach minerals from your bones. Sodas are high in phosphates, which displace magnesium and calcium. These two minerals play a major role in keeping your bones dense and healthy. Weightlifters need strong bones to support hundreds of pounds in the gym without the risk of a fracture. Magnesium also helps reduce the muscular soreness that weightlifters experience after a tough workout. If you drink soda regularly, consider cutting it out of your diet and adding a magnesium supplement. Additionally, if you suffer from intense muscular soreness after your workouts, look into recovery compression gear to help you recover more quickly. There is no room for soda in a good diet. Most of us do not consume high fructose corn syrup directly, but if you read nutrition labels, you’ll find it tucked into a lot of foods you eat. This is one you should avoid even while bulking for a couple of reasons. Firstly, this ingredient is pure sugar and known for rapidly accelerating fat gain. Even more significant than its fat-promoting effects is its ability to impair the expression of genes that help us recover from our workouts. In essence, high fructose corn syrup is detrimental to our recovery from a tough workout. If recovery times are an issue, look into wearing compression gear throughout your workouts to help minimize the soreness. Most of us enjoy our coffee or tea in the morning, and some of us admittedly enjoy several cups throughout the day. If you constantly sip coffee or tea throughout the day, you may want to consider another beverage — although plain water is best. Coffee and tea are detrimental to bulking for a couple of reasons. The caffeine in coffee and tea is a diuretic, causing your body to shed water and minerals along with it. If these minerals and fluids aren’t replaced, your performance in the gym will suffer. Additionally, caffeine has an appetite-suppressing effect, which can be detrimental to bulking depending on your metabolism and how much you normally eat throughout the day. For those who struggle to keep weight on, you definitely don’t need caffeine suppressing your appetite throughout a bulk. If you struggle to lose weight, an appetite suppressant wouldn’t hurt as bad, but be cognizant of the fact that you need a caloric surplus to add muscle. 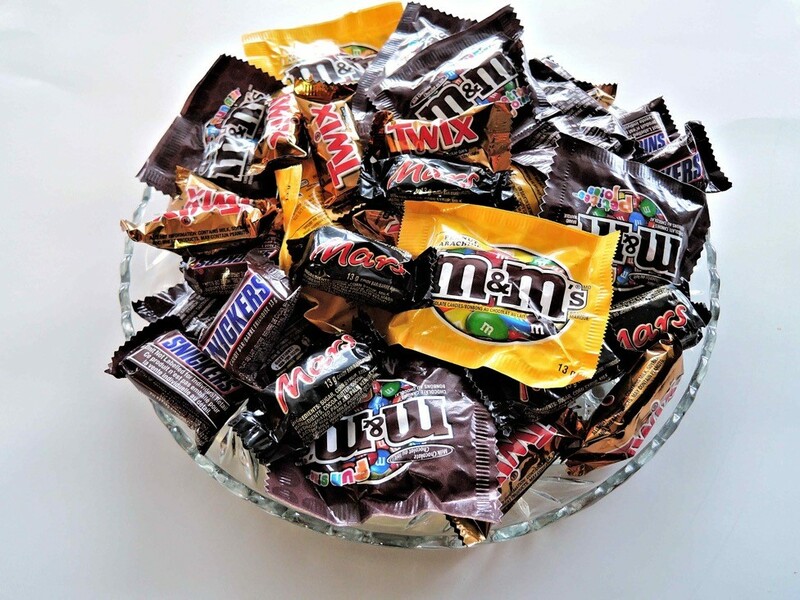 Candy — Too many empty calories. High-fiber foods — While high-fiber foods are often touted as a health product, the inverse may be true. Bulking is all about eating big. If you’re consuming a large amount of a high-fiber food in one sitting, you can easily overdo it, which can cause indigestion, gas and bloating. It’s better to stick with low fiber foods while bulking. Fat-free foods — You need fat in a well-balanced diet. Remember the king of muscle builders, testosterone? Eating saturated fats and cholesterol actually help increase testosterone. Avoid fat-free foods and opt for adding healthy sources of fat to your diet — and some animal fat for good measure.